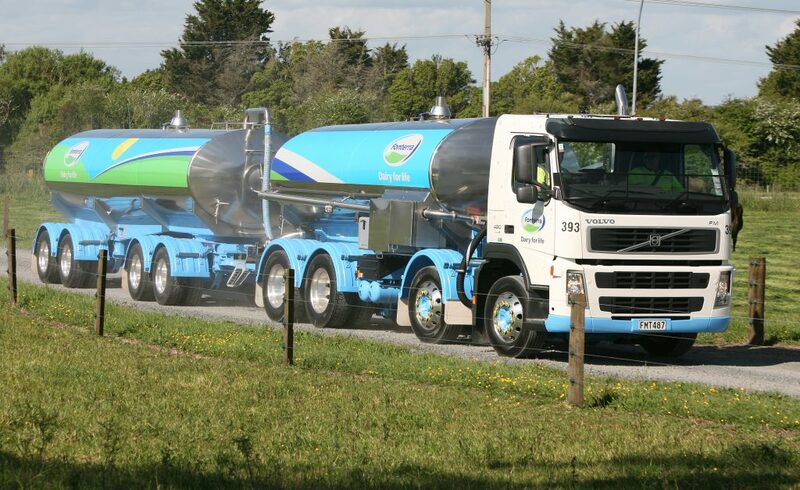 The world’s biggest dairy exporter Fonterra Cooperative Group today slashed its forecast payment to New Zealand farmers as increasing global milk production and a build-up of inventory in China puts pressure on prices. The co-operative reduced its forecast Farmgate Milk Price for the 2014/15 season from $7.00 to $6.00 per kgMS. According to chief economist Dominick Stephens of New Zealand bank Westpac: “That’ll equate to about a $4 billion drop in the collective income of the dairy sector or almost 2% of New Zealand GDP. Chairman John Wilson said the lower forecast Farmgate Milk Price reflected continuing volatility, with the GlobalDairyTrade price index declining 16 per cent since the start of the season on June 1. “We have seen strong production globally, a build-up of inventory in China, and falling demand in some emerging markets in response to high dairy commodity prices. In addition, the New Zealand dollar has remained strong. 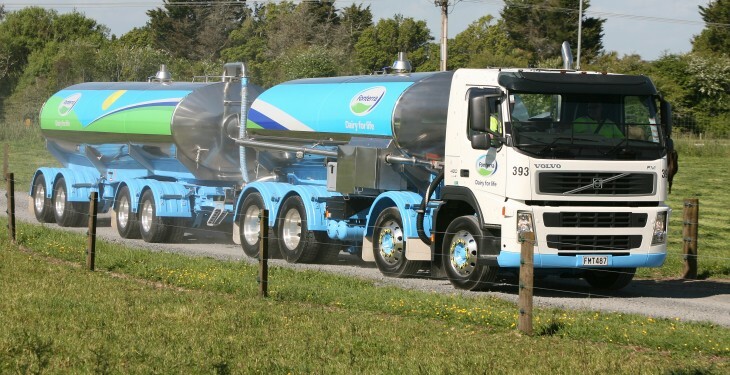 Our milk collection across New Zealand last season ending 31 May 2014 reached 1,584 million kgMs, 8.3 per cent higher than the previous season. “This drop in the forecast Farmgate Milk Price will have an impact on our farmers’ cash flows. We continue to urge caution with on-farm budgets in light of the continuing volatility in international dairy markets,” said Mr Wilson. The business also announced an estimated dividend range of 20-25 cents per share – amounting to a Forecast Cash Payout of $6.20-$6.25 for the current season. Chief Executive Theo Spierings said the estimated dividend reflects the Co-operative’s expectations for improved returns on its value-add and branded products, given volume increases and lower input costs. “As we continue to drive for growth in our consumer and foodservice businesses, during the first half of the current financial year we expect reduced cost of goods arising from lower dairy commodity prices to have a positive impact on returns. “It is important to note that in light of the significant volatility, our dividend estimate is based on zero ingredients stream returns at this early stage in the season. “We continued driving our V3 strategy throughout the previous season and that is why we can support an increased estimated dividend range for the 2014/15 financial year. “Our forecasting anticipates some recovery in global dairy prices but it is too early to predict how strong this recovery will be or when it will kick in. “We will provide an update on business performance when we announce our Annual Result on 24 September 2014,” said Mr Spierings.